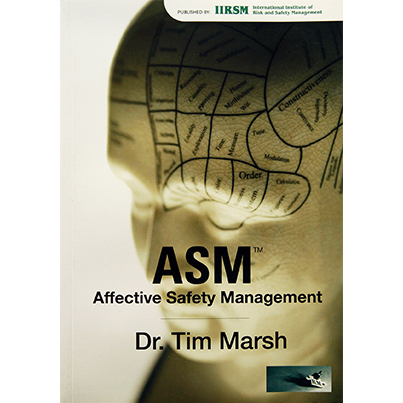 The concept of Affective Safety Management is a simple combination of several areas of research and best practice methodology. Firstly, it’s based on the basic principles of what some call ‘visible safety leadership’. This stresses that managers need to get out on the shop floor and visibly demonstrate their commitment to safety by making the time to go out and observe and discuss safety issues on a regular basis. They need to model safety at all times themselves and challenge all risk that they see – not just the big stuff. The book seeks to explain the psychology behind why this is so important and also has a practical ‘things that go wrong with this’ troubleshooting section. Secondly, it draws on the basic principle of behavioural safety. That it is day-to-day behaviours that define a safety culture – and that if we look after the little things the bigger things will look after themselves. The book constantly seeks to describe the key day-to-day behaviours that drive a pro-active and improving safety culture. Obviously, we’re assuming here that the basic building blocks of safety are in place – risk assessments, training, inductions, safety management systems and the like. So if you want to take your safety culture to the next level by connecting with the feelings of those around you, this little book will help you think about what just might work for your business.